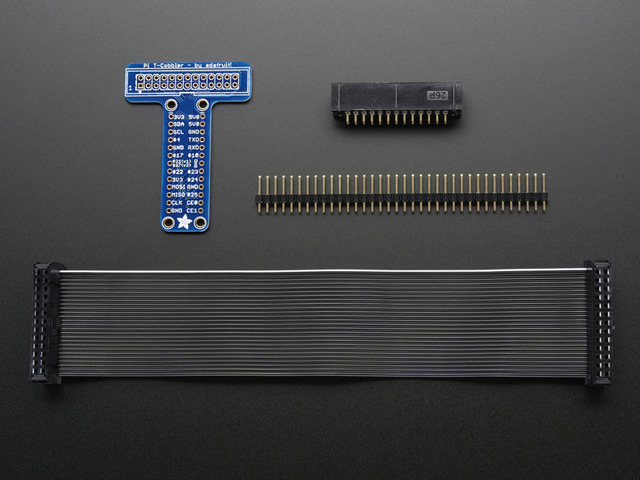 The GPIO pins can be used as both digital outputs and digital inputs. As digital outputs, you can write programs that turn a particular pin HIGH or LOW. Setting it HIGH sets it to 3.3V setting it LOW sets it to 0V. To drive an LED from one of these pins, you need a 1kΩ resistor in series with the LED as the GPIO pins can only manage a small amount of power. 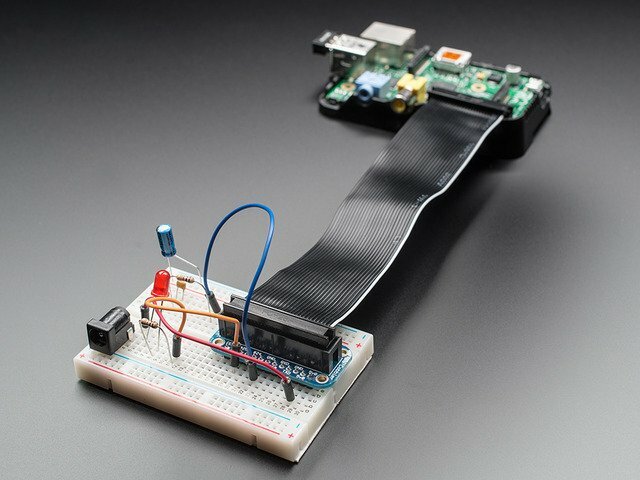 Some Adafruit projects that use just GPIO. To program the GPIO ports in Python, we need to install a very useful Python 2 library called Rpi.GPIO. This module gives us a simple to use Python library that will let us control the GPIO pins. The installation process for this is the same whether you are using Raspbian or Occidentalis. In actual fact, some versions of Raspbian include this library, but these instructions will also have the effect of updating to the latest version, which is worth doing. To install RPi.GPIO, you first need to install the Python Development toolkit that RPi.GPIO requires. You will probably be prompted to confirm by entering 'Y'. Thats all there is to it. You are ready to try some of the projects I mentioned at the top of this section. I2C is a very commonly used standard designed to allow one chip to talk to another. So, since the Raspberry Pi can talk I2C we can connect it to a variety of I2C capable chips and modules. The I2C bus allows multiple devices to be connected to your Raspberry Pi, each with a unique address, that can often be set by changing jumper settings on the module. 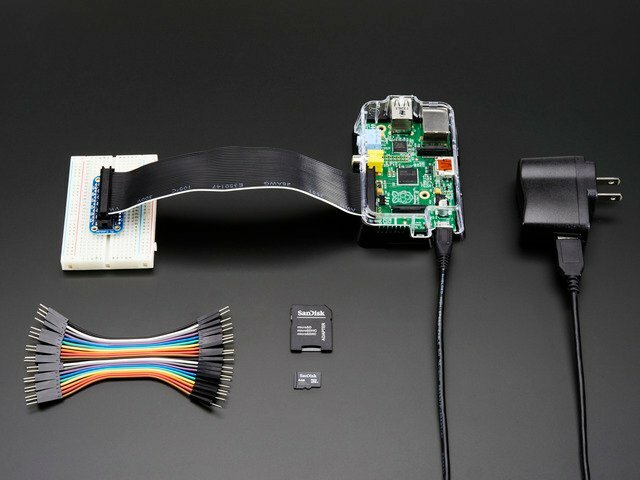 It is very useful to be able to see which devices are connected to your Pi as a way of making sure everything is working. To do this, it is worth running the following commands in the Terminal to install the i2c-tools utility. Once this is all done, reboot! This shows that two I2C addresses are in use – 0x40 and 0x70. 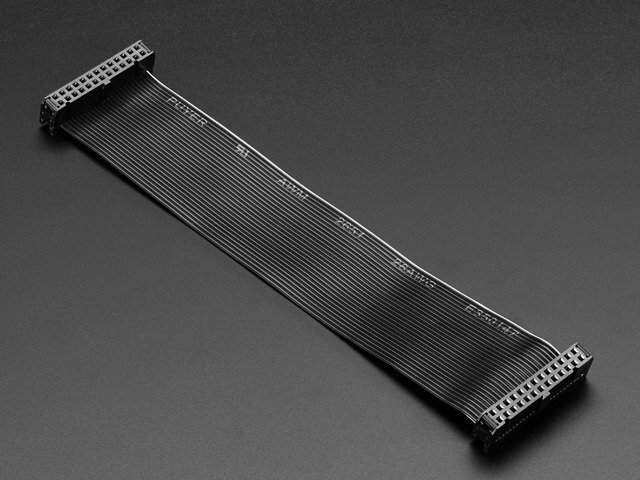 The Raspberry Pi designers swapped over I2C ports between board releases. Just remember: 512M Pi's use i2c port 1, 256M ones use i2c port 0! The best way to test what you have done is to pick one of the projects (perhaps a fairly simple one to start with) and give it a try. This guide was first published on Dec 14, 2012. It was last updated on Dec 14, 2012.